Once installed and in use, it’s imperative to schedule periodic inspections of your tanks and equipment that handle corrosive chemicals. Both the interior and the exterior need a thorough evaluation to look for signs of wear, corrosion, stress, pitting, and more. Such inspections not only keep your people and our environment safe, but they save you money and reduce processing downtime by fixing small problems before they mushroom into big ones. 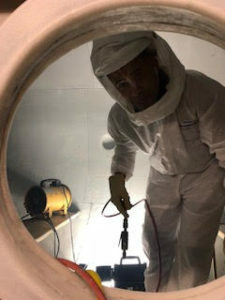 Both “out-of-service” and “in-service” tank inspection requires significant technical experience as well as knowledge of the safety requirements for tank inspection, such as tank cleaning in preparation for inspection, lockout/tagout, and confined-space entry. OSHA has very specific guidelines to ensure the safety of the inspection team as they work to ensure the performance, efficiency, and safety of your equipment. When discussing tank inspection, we should note that “remote inspection” technologies are fast emerging as an exciting new way to provide tank owners useful information about the condition of their equipment. 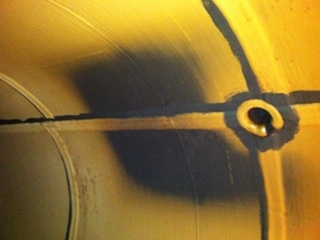 “Remote” inspection means that a person does not have to enter the tank to perform the inspection. As you can imagine, these new tools have the potential to reduce inspection costs and improve personnel safety. •Remote photography of both the exterior and interior of storage vessels. 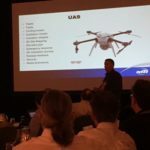 •Drones that can navigate without GPS signals, meaning they can operate inside a tank. •Robots with magnetic feet that can crawl around the tank and have the ability to measure the length, breadth, and depth of identified stress impairments. But please remember that, as fascinating as these new tools are, equipment owners will still need experienced people to interpret the results and handle any needed repairs. For instance, an image may show a “black patch” on your tank lining. But would you be able to determine if it’s a problem or can safely be ignored? Electro Chemical is proud to be working with these state-of-the-art technology providers as well as industry Subject Matter Experts (SMEs), and industry standards & regulatory agencies to provide the data required for risk-based inspection and fitness-for-service evaluation. We’re also part of an MTI (Materials Technology Institute) task force that is creating a new manual for our industry. 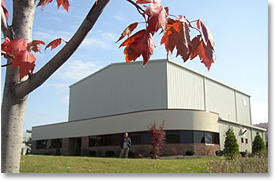 Electro Chemical’s knowledge of API and STI metal storage tanks, ceramic- or brick-lined equipment, and polymer-lined or coated equipment makes us uniquely qualified to support tank owners and professionally manage all your aboveground tank inspection requirements. And rest assured, if damage is ever found on specialty materials, such as fluoropolymer tank linings, Electro Chemical provides unmatched ability in project management and the execution of lining modifications and repairs in the field on both a national and international basis. Have a tank that needs inspection? Contact the pros at Electro Chemical today!